Brighten your holiday season by illuminating your landscape design during this festive time of year. 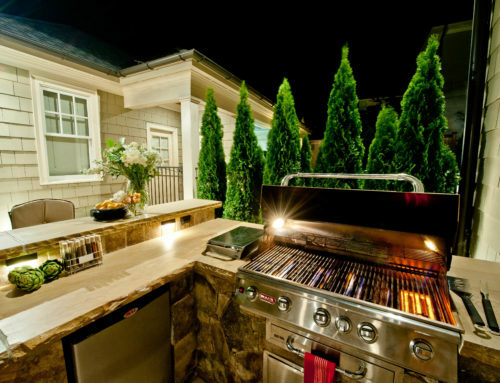 One of the easiest ways to do this is by adding outdoor lighting to enhance your landscaping. For even more stunning curb appeal, incorporate lighting to your walkways and entrance areas as well. This will automatically bring in a safety element compared to landscaping that’s dimly-lit or without any lighting at all. 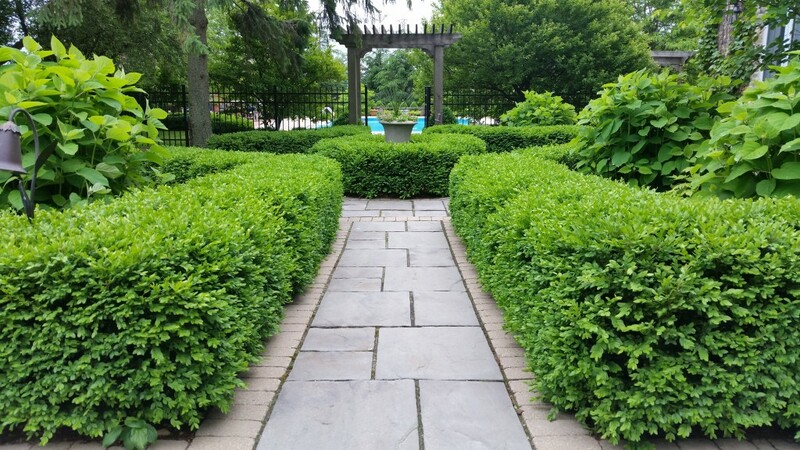 Each home and its surroundings is unique, so take some time to plan your landscape design so you can turn your creative ideas into reality. First, consider which areas you’d like to illuminate. Keep in mind how the lighting will affect the rest of your yard. There are many types of lighting effects and types from which you can choose. 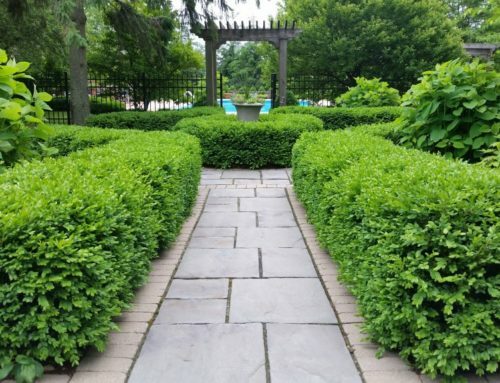 Use this handy guide to help you decide which ones best represent your landscaping style and goals. 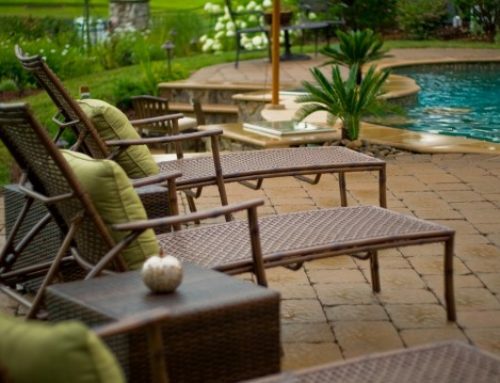 The variety of lighting effects for landscaping are meant to enhance your home and its environment. 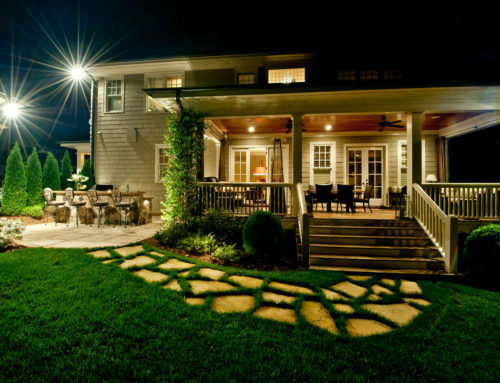 You can install targeted lighting to bring attention to special focal points in your yard. By contrast, you can use strategically-placed lighting to darken other areas. 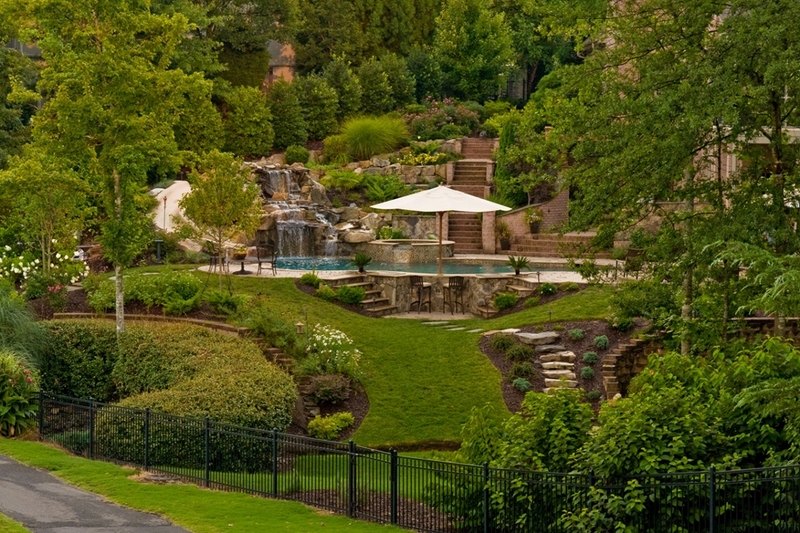 It’s all about the beautiful vision you have for your landscape. Your home is your castle, its landscape it’s throne. Landscape accent lights direct targeted lighting to display your garden’s most beautiful focal points and can create a dramatic effect. It’s best used to highlight garden statues, a colorful flower garden, or decorative shrubs. With downlighting (also called area lighting) lights are installed in trees to shine light down below on your lawn creating a magical effect. Moonlighting is a popular form of downlighting that gently highlights a broad area of a landscape. It resembles the natural way moonlight softly glows on a crisp, clear sky. 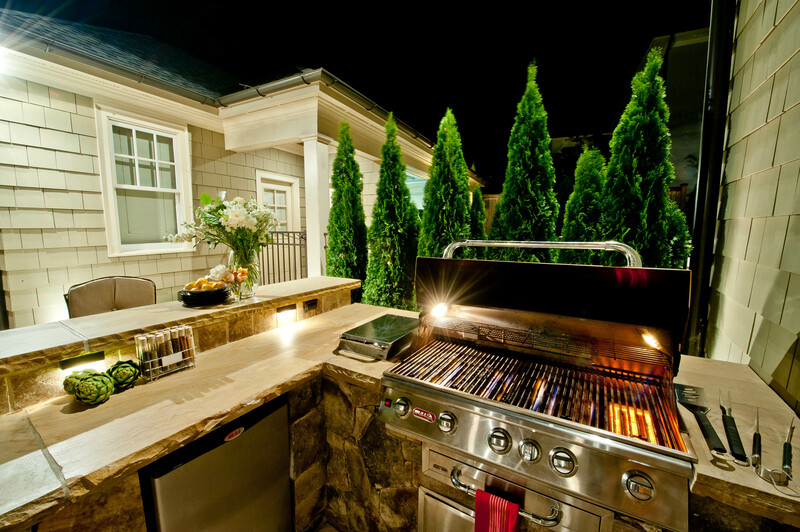 Downlighting is wonderful for backyard entertaining and increased outdoor security. It’s also used as an option for individual pathway lighting units for pathways, steps, and flower gardens. Pathway lights are always placed near the ground instead of high up in trees for best results. This lighting effect is great for bringing out the details in outdoor surfaces that have more than one dimension. It draws attention to interesting textures that are almost hidden at first glance. 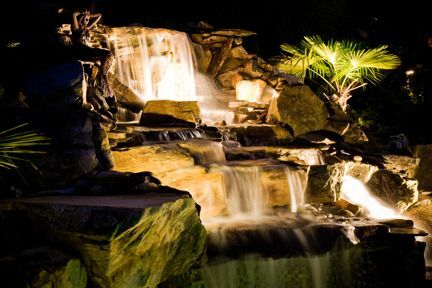 Add character and drama to your pool fountain with an assortment of led colored lighting options. 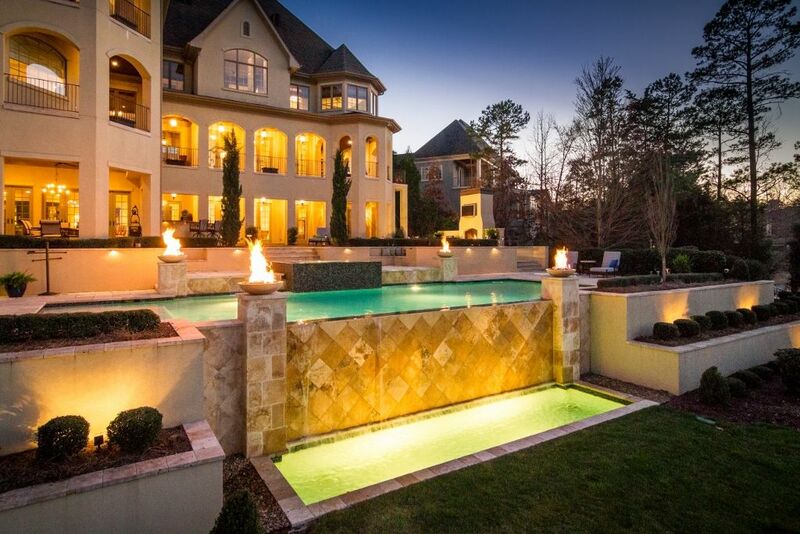 Pool and fountain lighting can transform your gray dormant landscape into a winter paradise. This is extra special at night if you decide to use lights in a variety of colors to match the changing seasons. 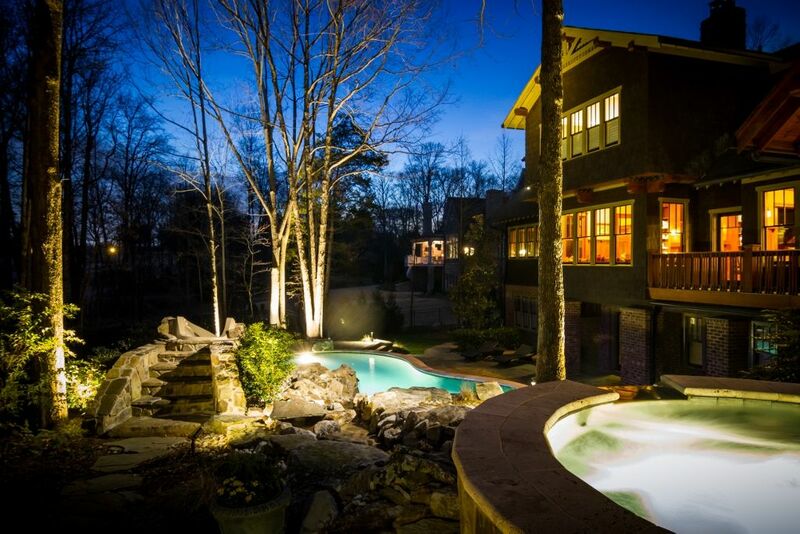 You can also control the lighting for your underground pools by installing a dimmer. The shadowing effect is excellent for holiday display lighting. Shadowing causes items to appear larger. This result is compounded when there’s movement involved, such as tree branches blowing in the wind. To highlight a beautiful large tree, halogen bulbs with mirrors are placed between a structure, typically a wall, and the tree. The bright light creates a pleasing silhouette of the tree by illuminating it onto the white background. Almost any object, short or tall, can be used for the silhouette method. If you prefer a basic, less-is-more approach to light up your pathway, select bollard lights. Bollard lights are short in order to illuminate the ground. 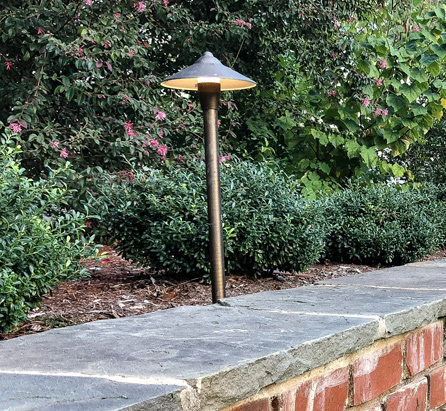 The simplicity of bollard lighting is perfect for simple landscaping that is not flashy. Your pathways can be your very own version of The Avenue des Champs-Elysées, an avenue in Paris, France, known as one of the most beautiful streets in the world. Create your own unforgettable charming ambiance with perfectly placed path lighting. Spotlights and flood lights for expansive properties is a must have. The security aspect of spotlights gives large spaces areas where would-be thieves have no place to hide. 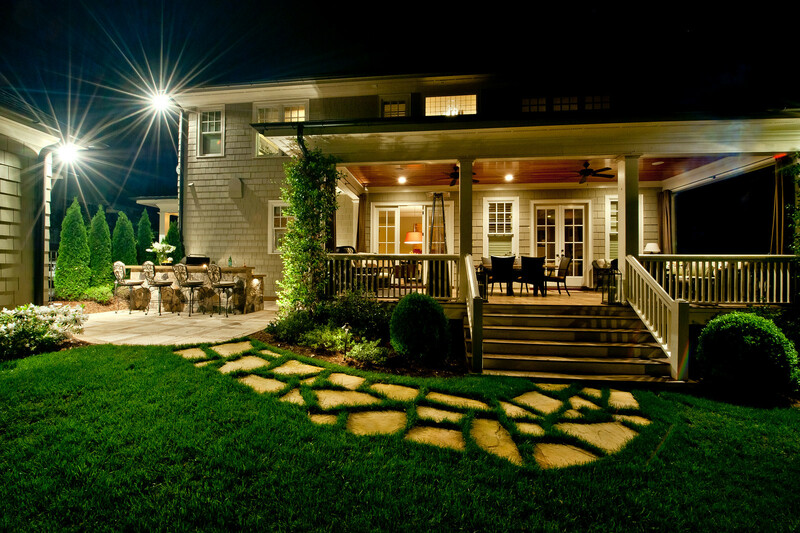 You’ll be better able to be more aware of your large landscape when spotlights are installed. If your home is situated on a hills or mountainous ground, a step light may be a good choice. The lights come on with every step. They’re available in different colors too. This is a great option for the holiday season. For spotlighting dark spots in your yard, well lights may be your best option. Well lights are customized lights that provide lighting to the focal points you want to highlight. Whether you have live holiday evergreen trees or want to accentuate your special winter flower arrangements, well lights are the way to go. Illuminate your landscape this holiday season by adding perfectly planned lighting. The possibilities are limitless and so are the benefits. 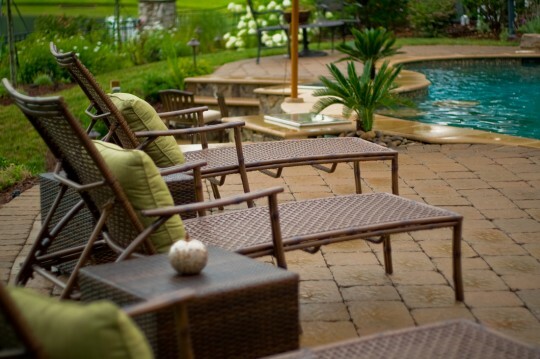 Every beautiful enhancement made to your landscape design, will add safety, serenity and a stunning effect. 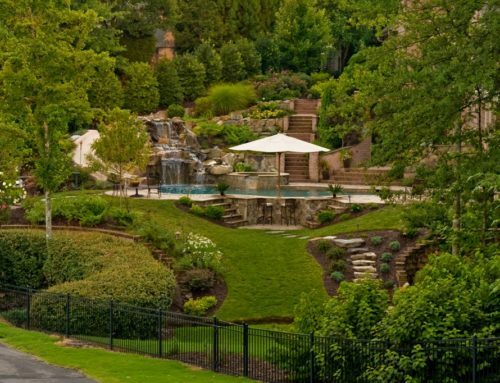 Coogan’s Design Build, your choice for landscaping Charlotte NC, offers a free consultation and a package to fit your budget. Your landscape lighting can be installed just in time for a merry, bright, and happy holiday season. Let’s get started!